If you are facing a criminal charge or traffic offense due to a police contact in West Bloomfield, you do not have to face it on your own. Do not gamble against the power of prosecutors, West Bloomfield police officers, detectives, Michigna State police, the Oakland County Sheriff's department, expert witnesses, 48th District Court and/or Oakland County Circuit Court Judges and the endless resources of the criminal justice system. Having confident legal representation that does not back down when facing off against prosecutors, and who seizes every opportunity to turn the tables is exactly what you need from your legal representation. Your best chances of obtaining a great outcome is to have an intelligent attorney with the legal acumen to fully defend you, and with the earned respect of the Judges and prosecutors that you are facing. 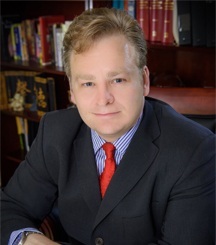 Contact attorney Daniel Hilf of Hilf & Hilf, PLC today for trusted legal representation. Searching for the Best West Bloomfield Defense Lawyer That You Can Rely Upon? When it comes to criminal accusations, there is no margin for errors, an unprepared lawyer, or anything short of top level legal defense. Hilf & Hilf, PLC attorney Daniel Hilf's duty is to aggressively defend clients rightfully or wrongfully accused of criminal offenses. Attorney Hilf is not here to judge, and he is here solely to help his clients to obtain the best possible outcomes given the facts and circumstances of the case. Attorney Hilf's goal is to put an end to your court related manner in the best possible manner. A false accusation of a crime is the largest imaginable injustice. Those wrongfully accused need a criminal defense lawyer that will presume that they are innocent and fight on their behalf to correct this situation. It is clear that the criminal justice system has flaws, which is the reason we have Constitutional rights in the first place. No doubt innocent individuals are prosecuted in courtrooms for a variety of reasons, including: prejudice and bias; mistakes made by police officers; vendettas; false assumptions; persons targeted by police officers; lies and deception; and violations of Constitutional rights. Police officers jump to conclusions. Sometimes the hunch of a police officer is wrong. Attorney Daniel Hilf asserts that he will do everything within his ability to prevent false convictions from occurring on his watch. "Overcharging " is also a problem in our justice system. Overcharging is when a prosecutor makes a criminal accusation that a person committed a more serious offense than what really occurred. For example, a person charged with malicious destruction of property might be improperly charged with a felony based upon over inflation in the amount of damages. Many alleged victims try to pad bills due to anger and greed. Sometimes the fight the lawyer needs to undertake is to have the proper offense and proper sentence based upon the reality of the situation and not upon exaggeration. On other occasions, the correct course of action is to fight for a complete acquittal. Part of the job of your lawyer is to attempt to change opinions and/or convince jurors, Judges, prosecutors, probation officers, and detectives as to a contrary position. The art of persuasion, the need to uphold the Constitution, protecting client rights, compassionate representation, and placing the case in the correct light, all play roles in attorney Daniel Hilf's legal defense. Please research your lawyer before you retain him or her. Your research will tell you that attorney Daniel Hilf has over 20 years of criminal defense experience, is highly rated by other lawyers and clients, and has represented during his career thousands of satisfied current and satisfied former clients. Is a court appearance in your future due to a West Bloomfield related ticket, misdemeanor, or felony accusation? Do have a case at the 48th District Court, Oakland County Circuit Court, Federal Court, or another Court in Michigan? Ask yourself, who do you want as your legal counsel? Hilf & Hilf, PLC may be more affordable that you think, because in many instances we allow for payment plans. Also, credit card payments are accepted, along with other payment options. Contact Hilf & Hilf today for a immediate consultation to discuss your criminal legal issue.